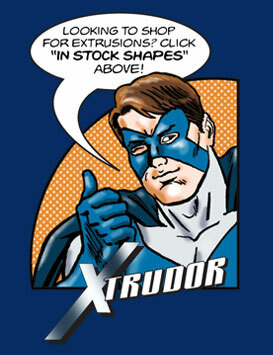 Xtrudor - Extrude-A-Trim's Aluminum Extrusion Superhero. 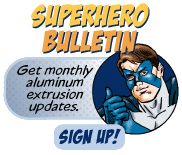 He opened Extrude-A-Trim back in 1962 as a way to use his newfound superpowers. Fifty years later, Will is still extruding aluminum, providing steady stock for Extrude-A-Trim. His superpowers are keeping him young (he doesn’t look a day over 30!) and business is keeping him busy. Want more? Sign up for the monthly Superhero Bulletin.